First Resale of this Bright, Sunny, Top Floor Penthouse on a prime block in East Lakeview! Spacious 3BR/ 2BA features a highly coveted interior staircase to a private 56 x 21 roof top deck w/ panoramic views! Inside, the Living Room is anchored by a WBFP & offers treetop views through dual sliding doors which open to a 21 ft long terrace. High- end finishes throughout include a lux Kitchen w/ Wolf, Subzero, & Bosch appliances & a professional hood venting to the exterior. Two well- appointed natural stone baths include the Master, boasting a separate steam shower, whirlpool tub & custom, built-in wood shelving. The Master Suite also boasts a fantastic, organized WIC & direct access to a 17x8 balcony. Three unobstructed exposures, 10ft ceilings & 3 1/4" wide plank Brazilian cherry floors throughout. Garage parking included. 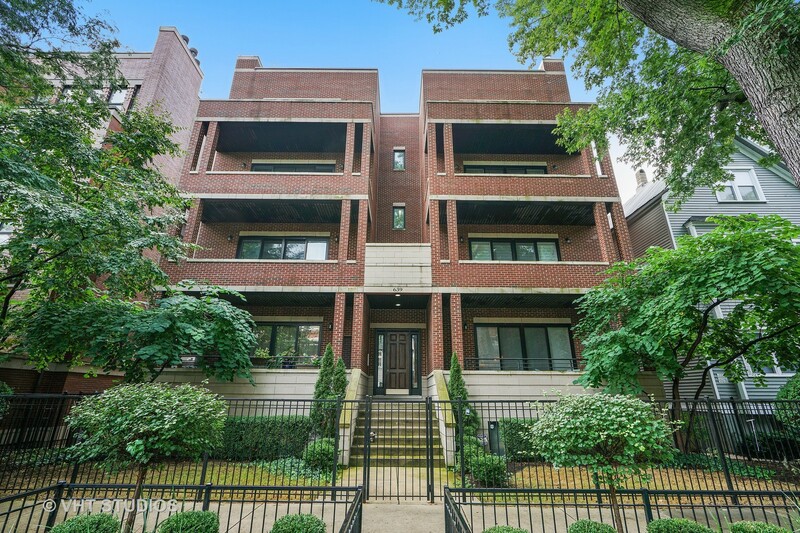 Charming, beautifully landscaped block is just steps to some of the best dining & nightlife of Lakeview as well as the EL, Lake, Park & even Wrigleyville. Property information last modified by seller on Monday, November 05, 2018, 09:51 AM CST. Information Deemed Reliable But Not Guaranteed. Unauthorized duplication, use, or linkage is prohibited. The information on this web site is for personal, non-commercial use and may not be used for any purpose other than to identify prospective properties consumers may be interested in purchasing. Monthly Payment Calculator results are for illustrative purposes only, not a financing opportunity; calculations assume a 30-year fixed-rate mortgage and do not include closing and other costs. Property Tax on NEW properties is estimated at 1.5% of Listing Price for payment calculation purposes; actual value may be higher or lower.